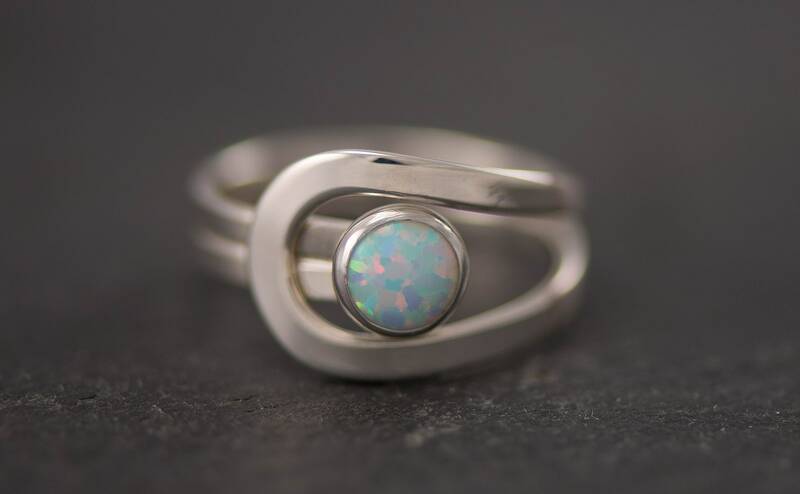 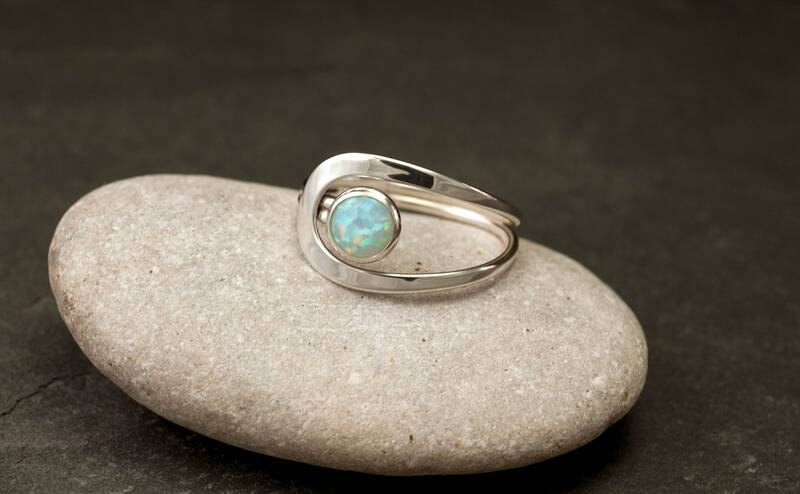 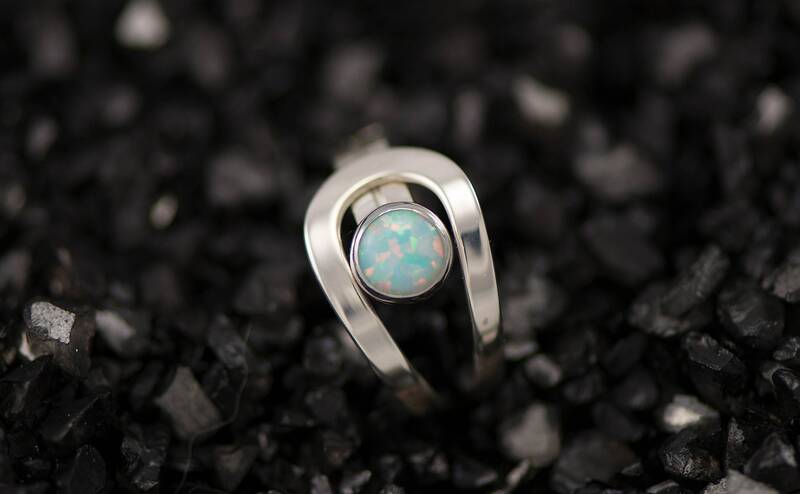 This opal ring is a sterling silver band that has two curving lines which accentuate a 6mm lab opal gemstone. 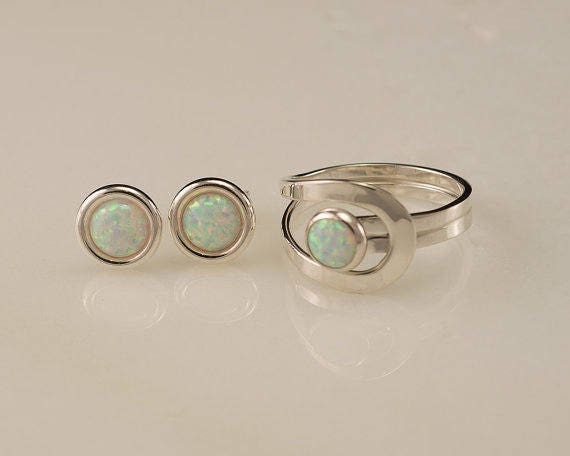 The opal gemstone is available in a light blue or iridescent white. 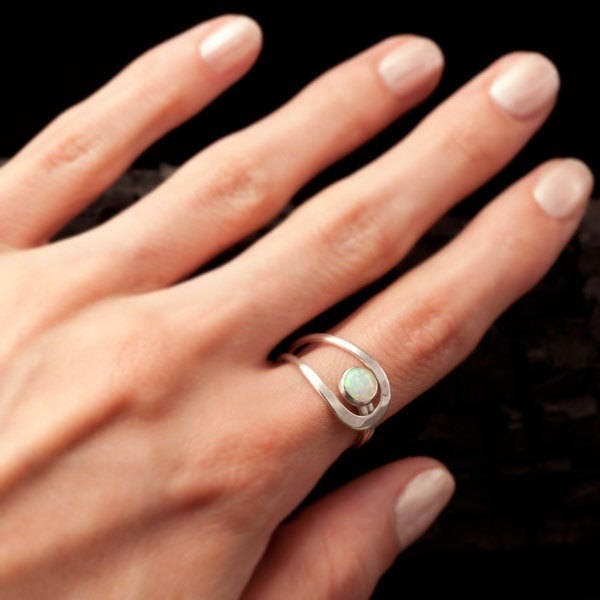 This ring was designed to curve naturally around the finger for a comfortable fit. 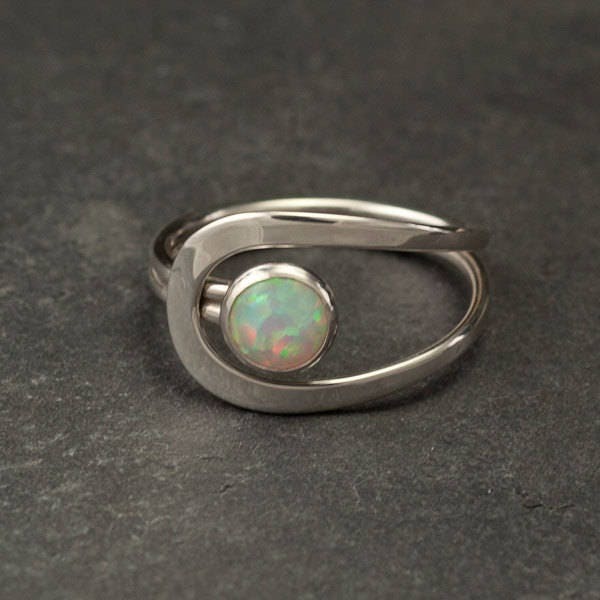 This ring is also slightly adjustable for the perfect fit (adjusts approximately 1/4 size). 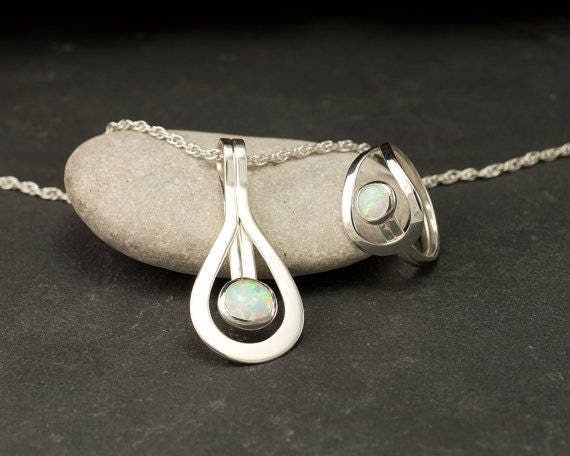 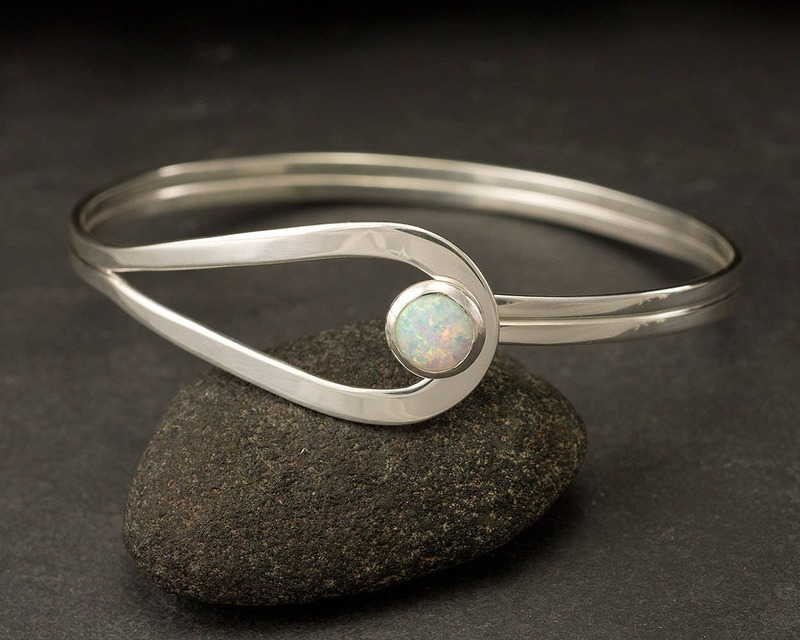 Opal is the October Birthstone, this is a wonderful birthday gift. 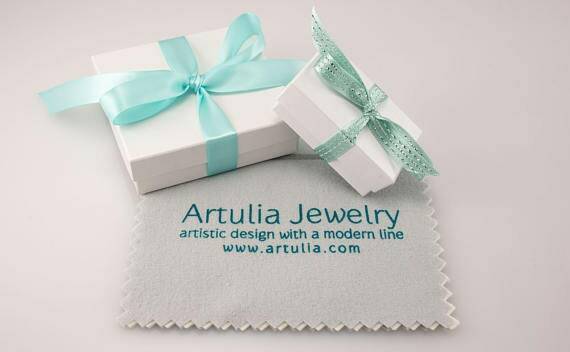 I am happy to include a birthday card with a personalized message.